With its striking architecture & exceptional amenities, the award – winning Lake at Heritage Pointe has become a very desirable address in the Calgary region. 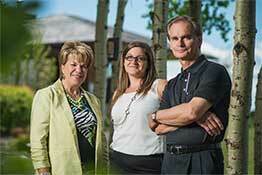 This community was awarded Community of the year by the Calgary region Home Builders Association. A new phase is now well under construction on the east side of Deerfoot Extension offering many new 'high end' homes by some of Calgary finest builders as well as villas by Cambridge. Located just off Dunbow Road & # 2 Highway south and only 8 – 10 minutes to the Shawnessey area of Calgary this lake community has a rare blend of countryside charm & urban refinement. With top builders working in the area, the houses are of very high quality and the community has an estate feel throughout. The amenities are expanding with various small retail and service outlets and most recently the MD Foothills have built an Emergency Services building there are well. Also under construction are baseball and soccer facilities. Residents get access to the lake & its beach where families can enjoy the privacy & convenience of gated access. Heritage Pointe golf course is adjacent the community and other golf courses including Carmony & Cottonwood are only minutes away. Homes in this community range from $750,000 up to 2,500,000+. Nestled in the Dewinton area of MD Foothills this community offers an alternative to acreage living but still within in a country atmosphere. When you choose a home in Heritage Pointe, you choose more space, more nature, more amenities, more beauty and more value. More, more, more! Like tennis and basketball courts. World-class golf. And executive-style, estate-sized lots. Artesia at Heritage Pointe is a life without compromise. The one you deserve. Luxury homes for sale in Calgary, Alberta today. 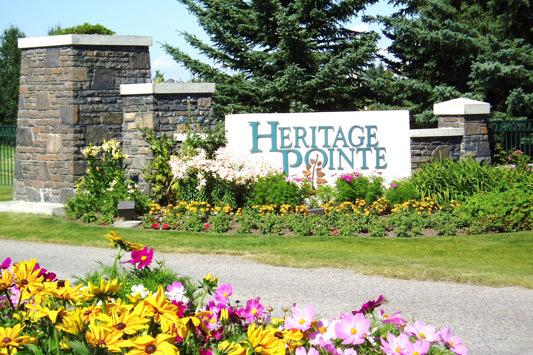 SEARCH HERITAGE POINTE MLS® LISTINGS NOW!